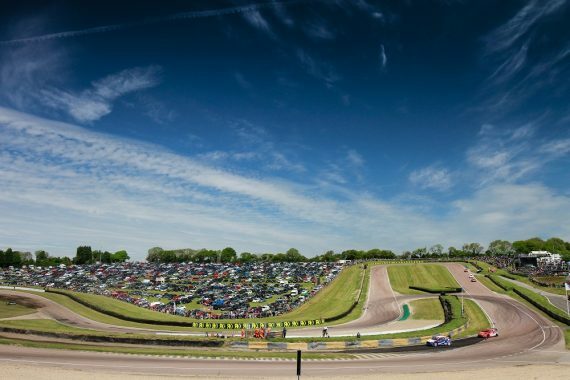 After months of speculation, Lydden Hill has been confirmed as the venue for the double-header season finale of the 2018 Red Bull Global Rallycross Championship (GRC) on October 27-28. The birthplace of rallycross will welcome some of the finest rallycross racers from across the pond, together with a number of select ‘wildcard’ entries as the UK takes on the USA for the first time in Red Bull GRC history. Red Bull GRC’s debut at Lydden Hill will mark the first rallycross event in Europe for the series since 2013, and the first-ever visit for many of its drivers to the continent. Expected participants include three-time defending series champion Scott Speed and past Lydden Hill race winner Tanner Foust. Alongside the top-level competition, this year’s Red Bull GRC Lydden Hill will also serve as the inaugural season finale for the series’ new Polaris RZR® class. “Bringing Red Bull Global Rallycross to Lydden Hill’s historic venue makes perfect sense for the series’ long-awaited return to Europe.” said Red Bull GRC CEO Colin Dyne. This entry was posted	on Tuesday, February 13th, 2018 at 2:00 pm	and is filed under Featured, Motor Racing. You can follow any responses to this entry through the RSS 2.0 feed. Both comments and pings are currently closed.